Earlier the site of a Ngāti Ira settlement, Motuhara was the name of this land block occupied by Ngāti Toa Rangatira from about 1820-1880. Following a recommendation from a Plimmerton community meeting, Karehana Bay was named after Karehana Te Weta Whakataki, the last occupying Ngāti Toa Rangatira chief at Motuhara. The origin of the Motuhara settlement pre-dates the arrival of the Ngāti Toa Rangatira iwi. 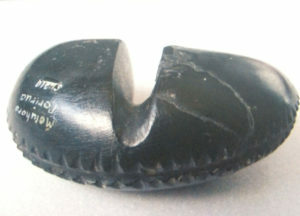 Archaeological ﬁnds suggest that before the Ngāti Toa Rangatira occupation it was a small kāinga with associated urupā (burial ground), apparently with no important defensive function. One of New Zealand’s rarest and oldest artefacts was found here. It is a double-lobed stone pendant which comes from a very early time, possibly the moa hunter period. It is stored at the Whanganui Museum. James Cowan describes Motuhara as a ‘small beach settlement’, though his source for this description is unknown. Although permanently occupied, Motuhara appears to have been a small kāinga – considered almost an annexe to the larger pā and kāinga surrounding it. According to Matene Te Whiwhi, the Ngāti Te Maunu hapū of Ngāti Toa Rangatira occupied the settlement. Motuhara was the tauranga waka (canoe landing place) for Te Rauparaha’s waka, Te Ahu a Tūranga. According to Elsdon Best, it was still visible as it lay rotting at Motuhara in 1909. Contemporary reports describe journeys on waka large enough to hold 100 people. When Te Rauparaha was seized from Taupō Village in 1846, Motuhara, along with Hongoeka, was also searched. When Te Rauparaha was being taken aboard HMS Driver, he called to Motuhara for help. Te Karira Tuhaia (misspelt as Te Kanira Tuhi) had the ofﬁcial certiﬁcate of title to Motuhara. 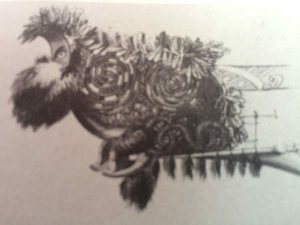 He died about 1875 and his niece Raiha Prosser (née Puaha), succeeded him in ownership. 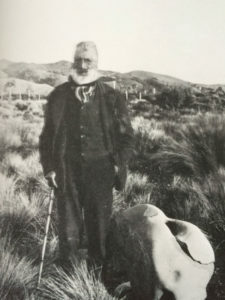 In the 1890s, the old chief Karehana Te Weta Whakataki remained at Motuhara, said to be living alone. Whakataki was Elsdon Best’s primary Ngāti Toa Rangatira source in his researches; at that time, in 1894, he was at Takapūwāhia. The Evening Post reported in 1923 that the Hutt City Council had agreed to a request from a deputation, following a public meeting in Plimmerton, to name the then Plimmerton Extension as Karehana Bay, after the chief of the old pā.